Josh is the founder of Bersin by Deloitte, leading provider of research-based membership programs in human resources (HR), talent and learning and is a globally renowned research analyst, public speaker, and writer. 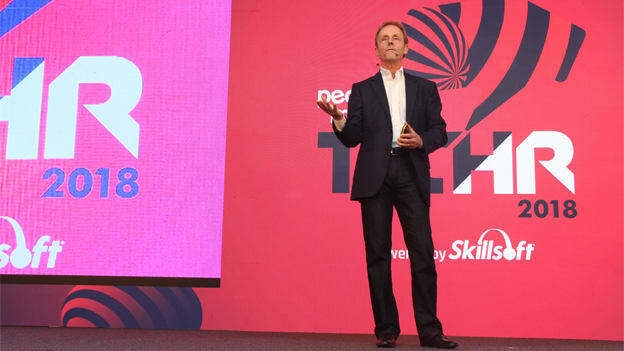 HR Technology and Solutions company PeopleStrong has announced that Josh Bersin, global HR Tech Thought leader has joined PeopleStrongs board of directors, as an independent director. Josh is the founder of Bersin by Deloitte, leading provider of research-based membership programs in human resources (HR), talent and learning and is a globally renowned research analyst, public speaker, and writer on the topics of corporate human resources, talent management, recruiting, leadership, technology, and the intersection between work and life. While he advises a variety of HR and learning companies to help them align their products and services toward the needs of corporate buyers, PeopleStrong would be the first HR Technology company from India to have him in the capacity of a board member. Renuka Ramnath, Founder, MD and CEO - Multiples Alternate Asset and Chairperson, PeopleStrong shared “We are excited to have Josh as part of PeopleStrong. He brings tremendous industry experience and we look forward to his valuable insights as we work towards building the largest HR Tech brand from India”. Welcoming Josh, Pankaj Bansal, Founder and CEO, PeopleStrong said, “We are delighted to have Josh on our board. The HR Tech market is going through exciting times and PeopleStrong more so. We have recently started on our journey to write the New Code of Work globally and having a thought leader like Josh with us definitely help us reach there faster”. Josh would join Rajul Garg (a renowned early stage investor in technology companies) in the board as the Independent Board Member. Other board members include Investor directors: Renuka Ramnath, Founder and CEO, Multiples, Sumit Sinha, Principal, Multiples Alternate Asset Management, Praveen Kumar Bhalla - Head Human Resource, HDFC LTD and Executive directors: Shelly Singh - Co-founder and Chief Business Officer, PeopleStrong and Pankaj Bansal Co-founder & CEO, PeopleStrong.